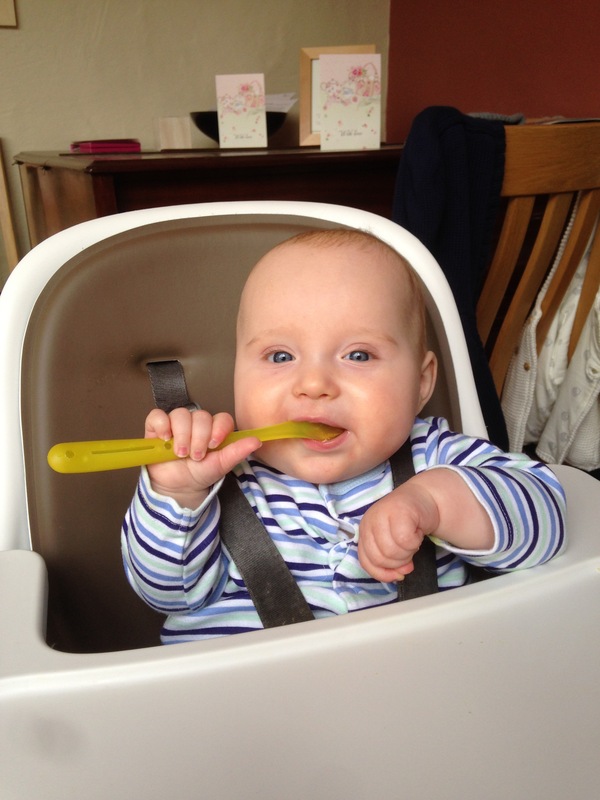 We are going away this weekend to Cardiff; it’s going to be our first trip away with Will. I know people travel with much younger children than this, but for us it’s a first, and I must admit I’m nervous! Nervous of leaving something behind, nervous of a mid John Lewis meltdown and most of all, nervous that Will’s routine will get completely disrupted. It took 9 and a half months for Will to sleep for longer than 2 hours in a row, and for the last couple of weeks he has been sleeping through the night, it’s been absolute bliss and I would hate to end up back at square one! So this week I’ve been making lists, lists of lists and using up everything in the fridge! We grow courgettes and this year we are inundated! So they are constantly in my fridge and I’m forever looking for new ways to use them. 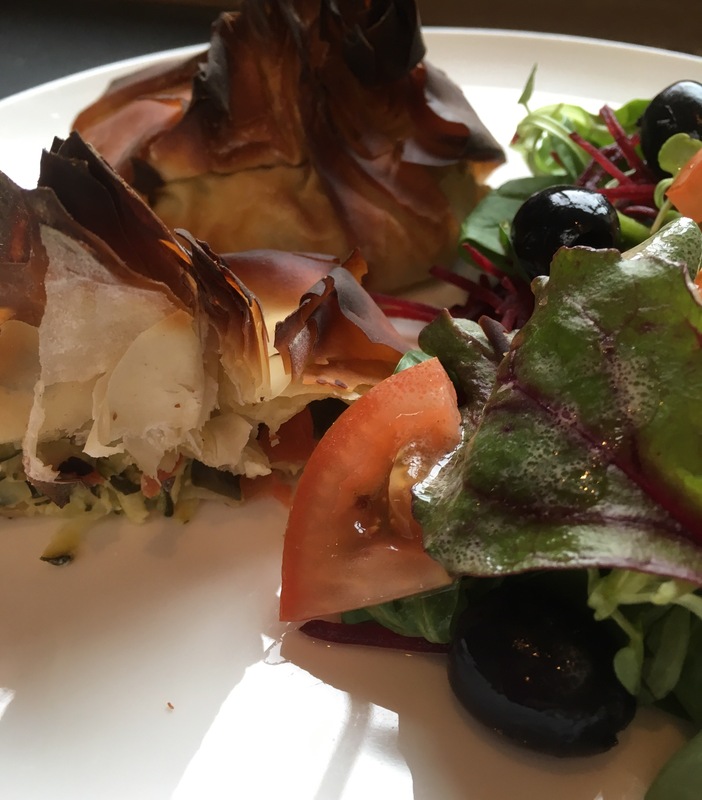 This recipe is a quicker, modified version of a Jamie Oliver recipe for a filo pie. 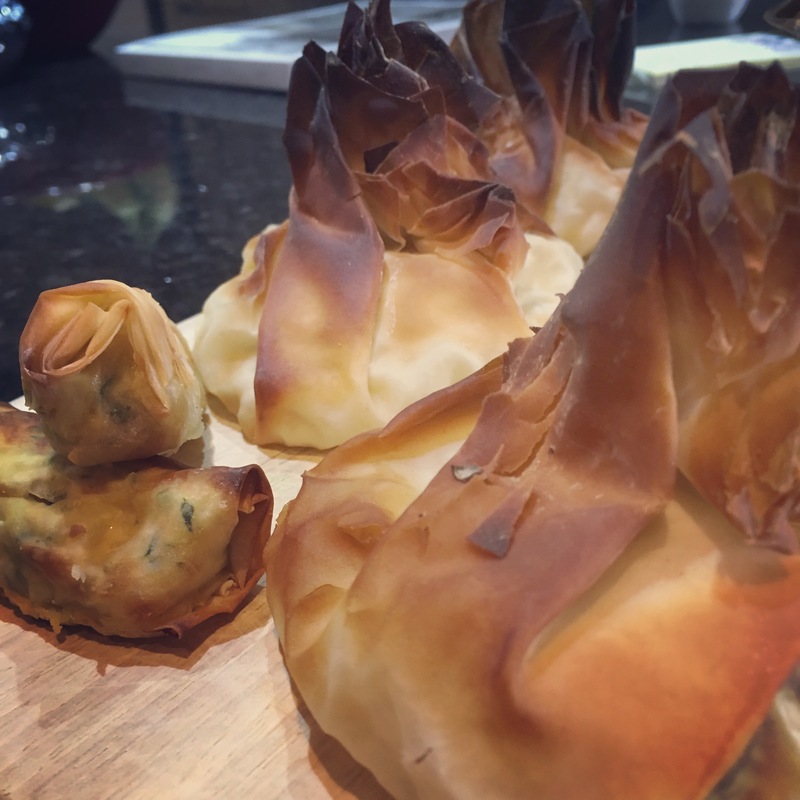 Filo makes brilliant crispy carriers for little hands to grip, making these brilliant finger food. 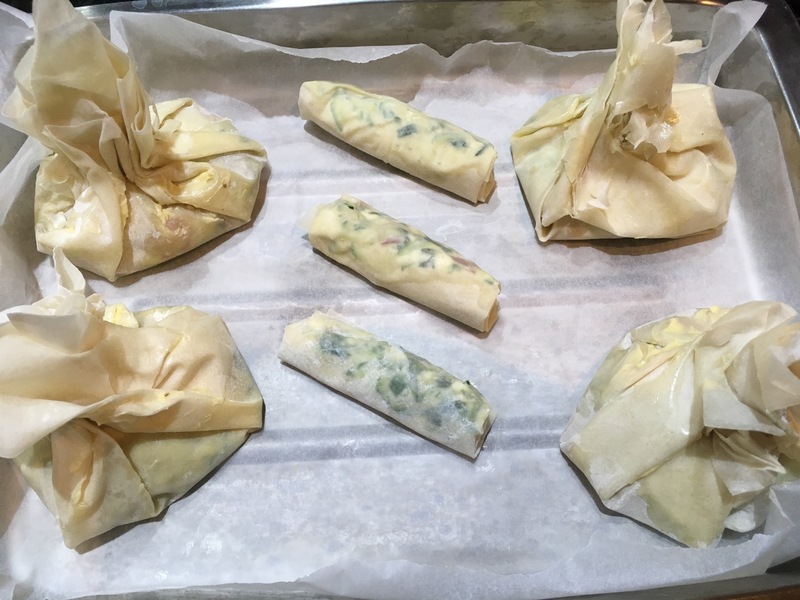 I made Will some spring roll shaped versions, while we had rustic parcels. Its also lighter than puff or shortcrust pastry, making these feel almost saintly. This recipe is incredibly simple, and it really showcases the ingredients, so buy the best tomatoes you can. This same advice goes for the feta and the courgettes too but the tomatoes should be lovely and sweet against the salty savouriness of the cheese. This would make 5 parcels or 4 parcels and some finger rolls for babies. Remove filo from fridge, it’s easier to work with when it’s room temperature but keep the packet sealed until the last minute. If it dries out it becomes brittle and cracks. Finely chop the mint, shred the basil leaves and add to mixture. Cut 1 filo sheet in half to make 2 squares. Lay one square in front of you, using a pastry brush, lightly cover it in melted butter, and place the other square on top of it, at an angle (see photo). Cut one rectangular sheet into 4 small rectangles. Once you have made your filo shapes, lightly brush them with the melted butter. These are delicious hot or cold, but the pastry is crisper when warm. We enjoyed ours with some garden-grown salad. Will enjoyed them for a few minutes before throwing them on the floor for the dog! I’d love to hear from you if you give this a go or if you have any great courgette recipes I could try! Has anyone mentioned that its been rather warm in Britain this week? Pre- motherhood I could never understand people that would sit, fanning themselves in a vastly over the top fashion, moaning about heatwaves (summer, I think they call it in most places, but that’s not nearly dramatic enough for us Brits)! I live in Wales and despite what my husband says; it rains here, a lot! So for me the odd warm day came as a lovely surprise, and it didn’t matter if the bedroom was a bit warm, or the butter had melted over the kitchen worktop because I could sleep the next night, and I would have plenty of time to clean up the butter pool. Post- motherhood however, my feelings towards these balmy roasting days has changed! I couldn’t begin to tell you how many times in the last 72 hours I have googled ‘how to cool a baby down without air conditioning’. We have dunked poor Will in bowls of water, he’s hasn’t worn clothes for days (brilliant for my washing pile) and my husband and I have been taking it in turns to stand by the chest freezer with the lid open. But the facts remain the same; its hot, and its totally out of my control! One thing I can control though is food, or more accurately, breakfast. We usually have porridge as its filling, suitable for everyone, quick to make and cheap. A perfect meal in my humble opinion, but not at all summery. So I set to work creating a recipe for overnight oats that would be suitable for Will as well as us adults. 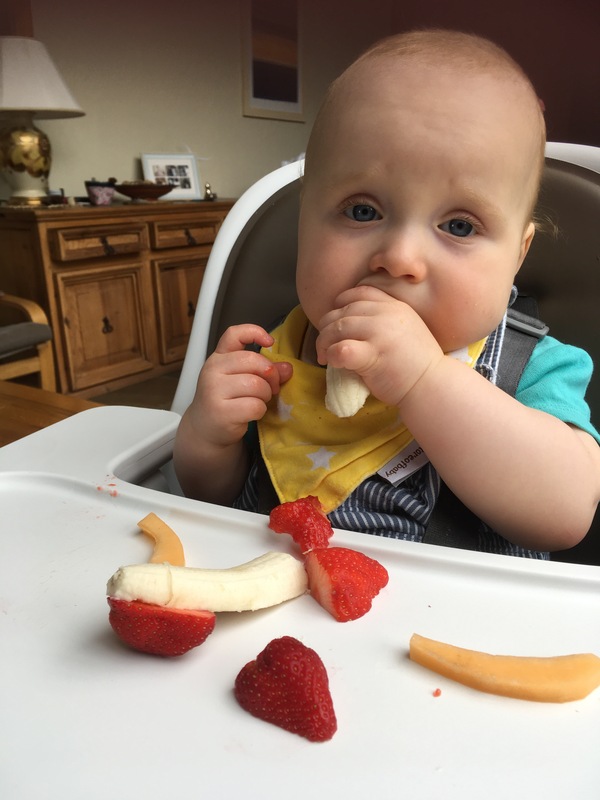 Its hardly a recipe, more a combining of a few ingredients, but the key to making this baby friendly is simply to make it a little more milky than usual, and to use fruit that is pureed rather than whole berries. The quantity below is for 1 portion for a baby (although it obviously depends on how much of an appetite your little one has). My husband and I had double the amounts written with 20ml less milk to make it less liquid. You can stir it together before serving but I don’t as Will responds really well to having different tastes and textures throughout a meal. 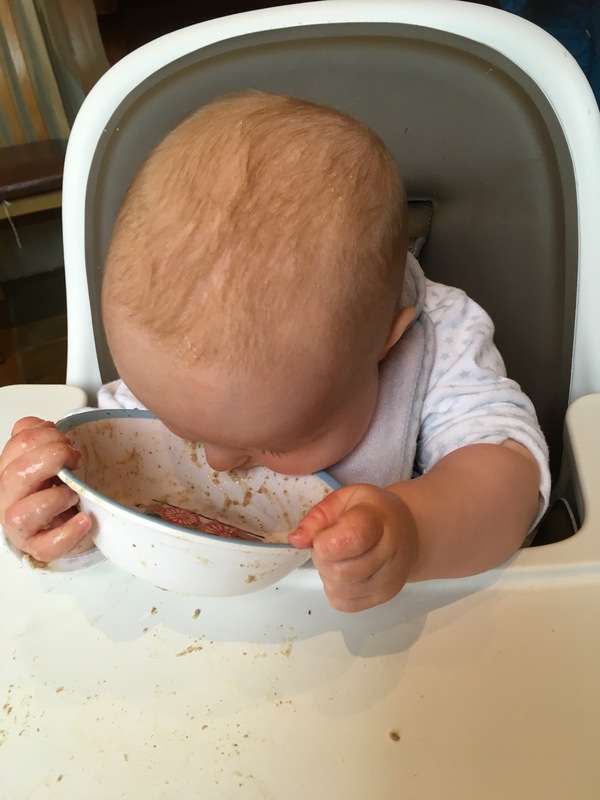 For younger babies, blend the porridge oats until you get your desired texture before adding to your jar; I use a milling blade on a Nutribullet. So there we are, porridge with a summer makeover! What are your favourite overnight oat flavour combinations? And if anyone out there does have any tips for making heatwaves with babies more tolerable I’d love to hear them!